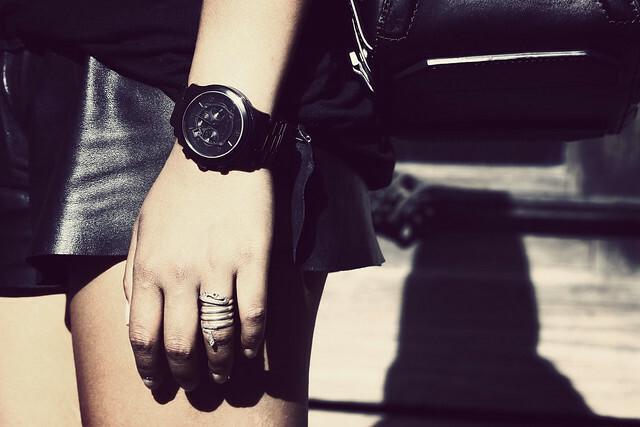 Mode Junkie: FIFTY SHADES OF BLACK. the nights are chillier, i can smell autumn approaching. i love throwing a sweater on my bag for the evenings and wear it with bare legs. that way i don´t freeze but also not die of heat. sabrina had a perfect term for people like me. this sweater will definitely transition into my winter staples. ps: have you read the book? thoughts on a postcard! i admit i finished the book in one day. christian grey is so effin hot. check out the series of looks i made for adidas Originals HERE. TODAY IS THE LAST DAY to enter my Lock Hardware Necklace GIVEAWAY!!! Your shoes are amazing. I haven't read the book and I think I won't do it, not my type. Those those are the most beautiful shoes ever! Love it! Congratulations on your work with Adidas! U r perfect as always, just cool! Your sandals and bag... are pretty nice! The leather shorts is so nice! That last picture is Like wohaaa somebody just stepped out fo Vogue!! mama, those heels. Are. To. Die. For.